If you are planning to get a new tank for your fish, which fish tank can help you make the right decision. We list a range of supplies & reviews for Tropical Fish Tanks & Aquariums on our site - so we are confident that you will find an aquarium suitable for your tropical or marine fish requirements. It's a great hobby for everyone to enjoy, no matter what your age is. And did you know that keeping fish is beneficial to your health? It's a proven way to help reduce stress and anxiety. Health benefits for keeping a fish tank. More and more men, women and children are becoming enthusiasts of raising fish on their own. Not only do fish aquariums make a beautiful addition to any room, but they actually provide health benefits to some people. People who suffer from high stress or high blood pressure, increased anxiety, or depression find that having an aquarium is the equivalent of engaging in relaxation, and calming techniques. From adults with Alzheimer's to children with a hyperactivity disorder, or an adult who just feels overwhelmed and stressed out, fish tanks can bring a piece of calm into their lives. 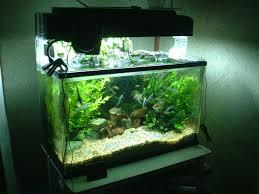 Aquariums can sometimes have a soothing sound of the flow of water depending on your aquarium set up. They can also be quiet if you prefer it that way. The sounds of water stirring can be very relaxing. Most tanks have a lighting system that is also comforting. So you can lay it with the lights turned off or down, and bask in the beauty of a gorgeous fish tank glow, complete with amazing examples of tropical or marine life swimming around. Many people keep fish for enjoying part of nature that we like humans, will not often see on dry land. The underwater world is amazing and teeming with life that we are in awe or consistently. There are two different types of fish you can start with - freshwater and saltwater. 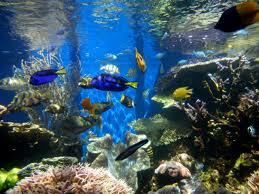 Saltwater is considered the marine variety of fish and freshwater - the tropical fish. The fish are known to have a calming and peaceful effect on anyone who sees them swimming through the water. 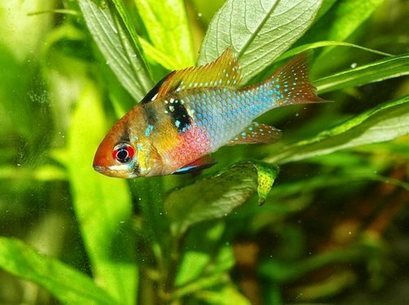 Certain species of fish such as Danios, Guppies and Rasboras are easier and more expensive to keep and care for than other types of fish. Fish come in an amazing and wonderful array of sizes, shapes and stunningly wonderful vibrant colors. Keeping Fish Costs Much More Than Other Household Pets. Whenever we start thinking about an aquarium - we're instantly concerned with the fish. Will they have enough room to grow? Room to swim? But it's not the only concern you should have when you start shopping for an aquarium. To keep and maintain your new stunning and impressive aquarium - you must dedicate your time to research and consider all the different aspects of fish keeping. 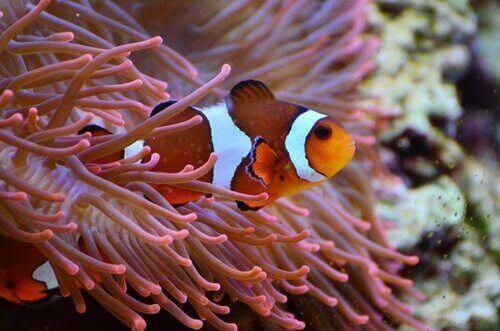 Are you wanting to keep tropical or saltwater fish? There are many manufacturers who cater for both types of fish, each offering many versions and sizes of tank aquariums for their customers' needs worldwide. When researching a new tropical or marine aquarium it is very important to follow these important instructions before buying your new fish aquarium tank. A larger beginner aquarium will help speed up the fish aquarium when you get started on your aquarium set up and also avoid the need to upgrade your tropical or marine tank. When buying your fish tank, remember that you will also have the right equipment to fit that particular tank, including lighting (day / night bulbs), heat, and a good quality filter. A larger fish aquarium is absolutely vital for the bigger species of fish that you will buy, keeping them healthy and happy, and free from stress! If your fish aquarium is purchased through your local aquatic store, or just online, it is important to know that many different shapes and heights / lengths of aquariums are available for purchase. Which Fish Tank Will You Choose? 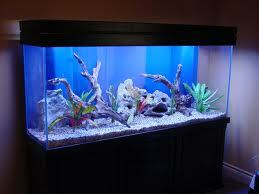 Some popular brands of fish tanks include Fluval and Jewelry . These companies produce high quality functional fish tanks that have become popular throughout the world. Most types of aquariums are rectangle , round , cylindrical , corner , and even bow fronted ones. Rectangle and bow fronted aquariums provide the largest surface area in relation to their volume. While the higher aquariums can be visually appealing, they make cleaning and maintenance tasks more difficult. Once you have researched and decided which types of fish you want, and what fish tank meets your needs, then it's time to shop around. Generally, there are two basic types of fish aquariums available to purchase. These are basic glass or acrylic tanks and completed fish aquarium kits. Each of these has its own advantages and disadvantages. 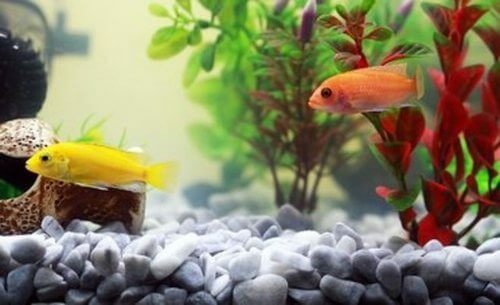 A standard glass or acrylic tank is a no-frills tank. Keep in mind that you will need to purchase everything else to make this tank work properly. This means buying the filtration, water pump, thermometer, water heater, fish tank stand or cabinet. Buying these items separately can be more expensive than buying a completed set-up fish aquarium; although it does allow you to custom build your tank to your own individual requirements. Giving proper consideration and thought to which fish aquarium is best suited for your budget, you can rest assured that you and your fish will enjoy your new fish aquarium for many years to come.